NBA – The most awaited return of the most popular basketball league in the world has finally released the full list of game schedule for the upcoming 2017 – 2018 NBA Season. On October 17, 2017, two double header opens the new season, on the first game, it features the Cleveland Cavaliers versus their rival in the East the Boston Celtics at Quicken Loans Arena and on the second game, it features the reigning NBA Champion Golden State Warriors versus the much improve Houston Rockets at Oakland, California. The opening game is also a preview of what could happen this season on which team that could possibly meet in the Eastern and Western Conference Finals comes playoff time? Even though it’s too early to say, but the Cleveland Cavaliers and the Golden State Warriors are still the team that favors of reaching the NBA Finals for the 4th consecutive time. 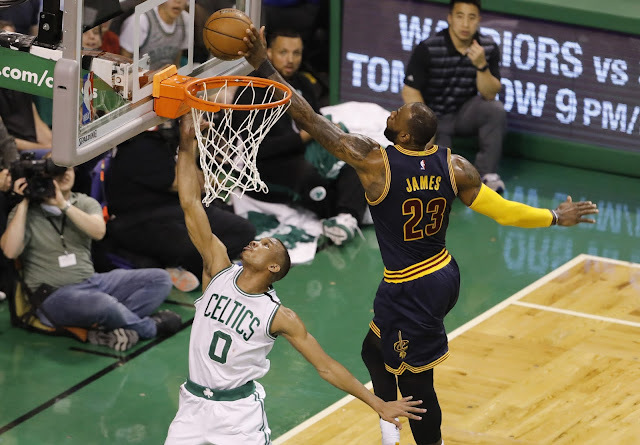 In the East, The Cavaliers are still the team to beat as long as the “King” LeBron James is in the Cavs lineup despite several dramas and rumors is now happening outside and inside the team while the Celtics added more power after acquiring former Utah Jazz superstar Gordon Hayward in the recent free agency to give more threat and perhaps closed the gap against their rival Cleveland Cavaliers that ousted them in the playoffs for three straight seasons. In the West, there is no doubt that the reigning NBA Champion, Golden State Warriors is still the team to beat. The San Antonio Spurs will be again the top contender this season of perhaps dethroning the NBA Champion if Kawhi Leonard will stay healthy? Oklahoma Thunder is also a good contender after acquiring Paul George in a trade and now teaming up with the reigning MVP Russell Westbrook and last but not the least the Houston Rocket added Chris Paul to help James Harden, will Chris Paul help the Rockets reach a conference finals and perhaps dethroning the Warriors? This is just a preview and prediction of what could happen in the upcoming 2017 – 2018 NBA Season the outcome might be different as the season ends in June 2018? No Comment to " Cavs/Celtics Opens the 2017 - 2018 NBA Season "